Hot on the heels of their new single ‘Good Grief’, British outfit Bastille has confirmed they’ll release their new album ‘Wild World’ in September. The cover (above) features two young men perched perilously on the side of a building in Manhattan. 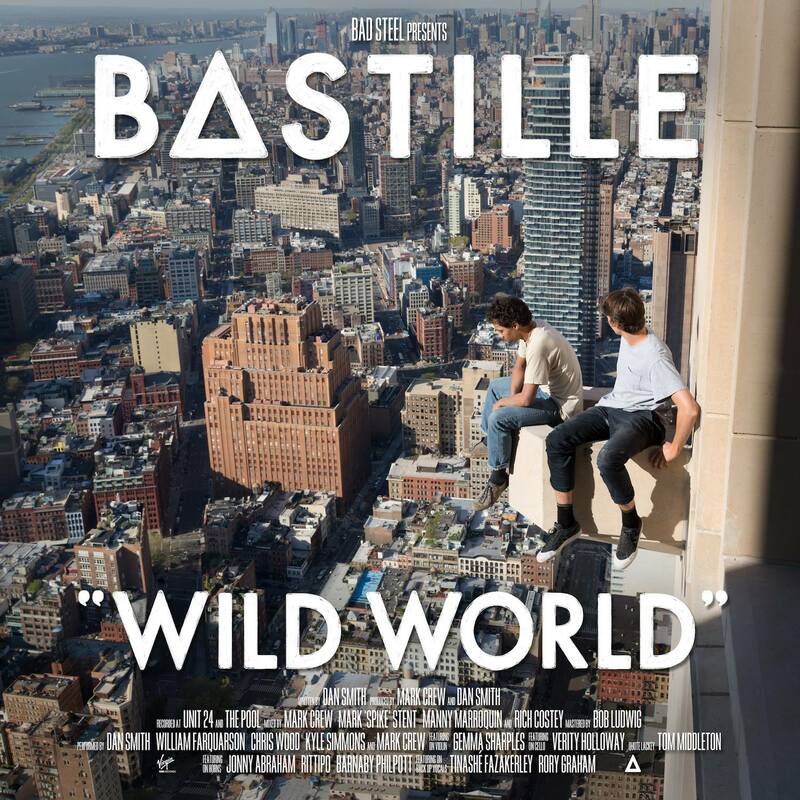 ‘Wild World’ arrives three and a half years after their debut ‘Bad Blood’ shot to the top of the charts in their homeland and into the top ten here in Australia. Breakout single ‘Pompeii’ hit the top five here in Australia and set the path for the band’s future success, which it’s hoped will continue with the new material. Further information about the contents of the LP will be released in the coming weeks, but it’s set to drop in both 14 track standard and 19 track deluxe editions on Friday September 09.